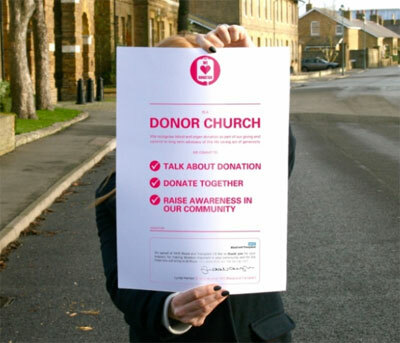 To paraphrase a truism, churches can be very generous when it comes to other people’s organs. Yet, there are MANY reasons to NEVER be a kidney donor — Read some of the articles linked in the Living Donors Are People Too news feed on the bottom right of this webpage. You would think, though, if churches endorse the procedure, that donating a kidney would not be suspect or objectionable. A fascinating possibility is to imagine the impact if Christian donors were to stipulate that their donated organs be accompanied by a handwritten letter telling of the donor’s life, testimony, and relationship with Christ. The United Methodist Church states that organ transplantation is an act of charity but if the medical people are not offering it for free, how could this be true? On UNOS, Christianity, the general category, shows support for organ donation. The Bible passage quoted presumably conflates gifts of healing with donating one’s organs. Christians are led to believe and pressured to acknowledge that the generous, loving, believing, giving, self-sacrificing child of God will donate organs. And we all know what the opposite of that is! Probably most church people assume that these statements apply to dead donors, not live ones. Yet soft-hearted people will be drawn to donate a kidney and their act will be influenced by church approval. But not all kidneys come from the willing and compassionate. Stay tuned for part two of Other People's Organs.